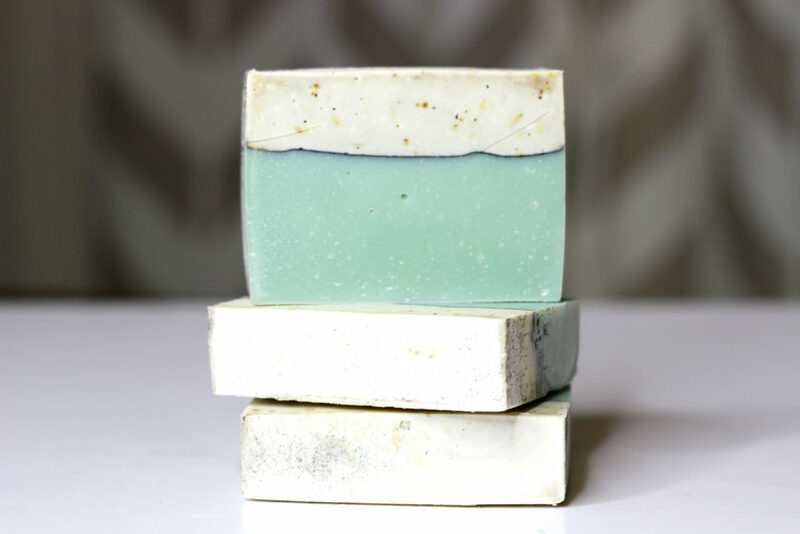 This beautiful soap is super simple to make and uses an easy layering technique. SAFETY WARNING! 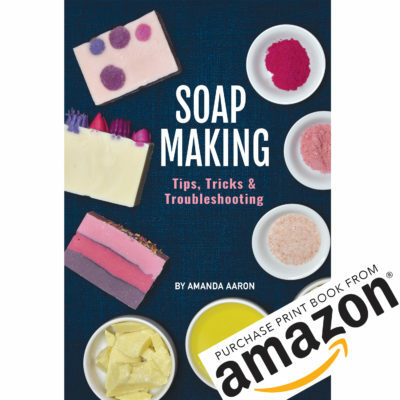 If you’ve never made soap before, be sure to start with our basic soap making guide. 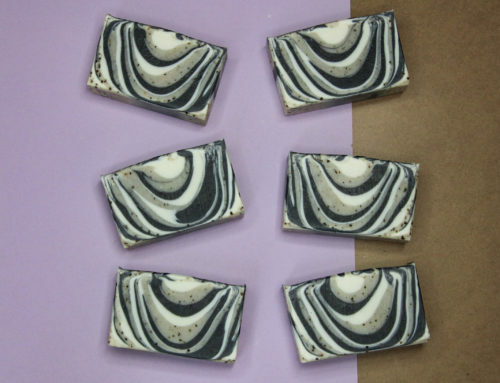 This recipe and instructions are for experienced soap makers. 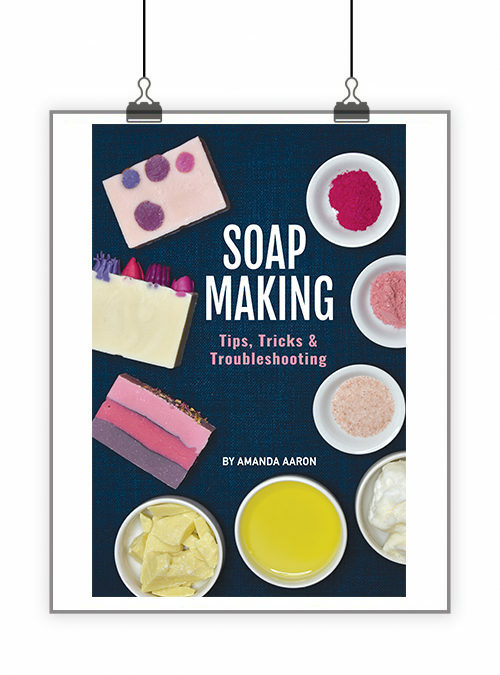 Be sure to gear up in your goggles and gloves before you make soap. This recipe fits in a Bramble Berry 10″ silicone loaf mold. I halved it when I made it to fit into a smaller test mold from Bramble Berry. Step 1: Make your lye solution. Weigh the water and lye into separate containers. Pour the lye into the water while stirring. 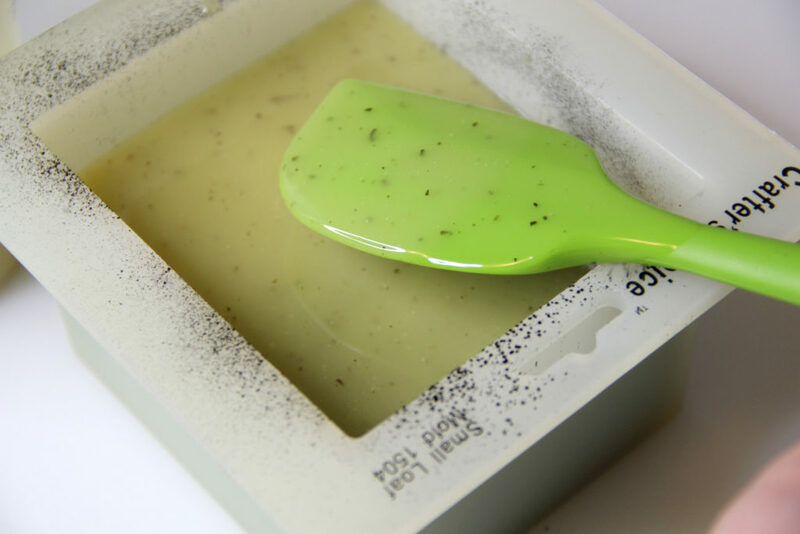 Be sure to mix your lye solution in a well-ventilated area. Step 2: Weigh out your solid/hard oils and melt. 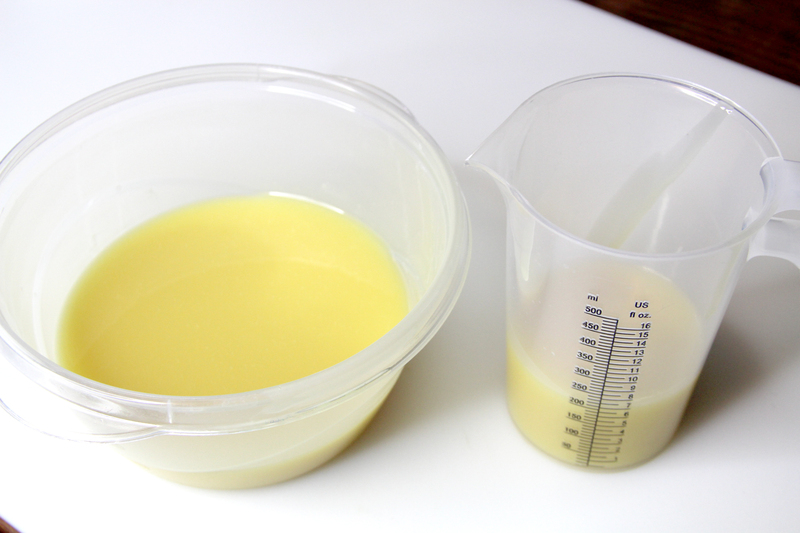 Step 3: Weigh out your liquid oils and add to your melted oils. 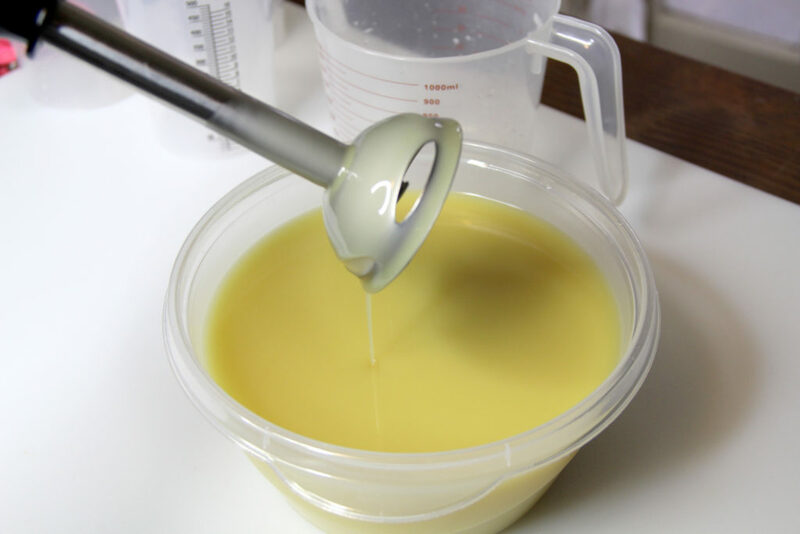 Add the essential oil blend to the base oils. Step 4: Divide your batter out. I used about 2/3 for the base and 1/3 for the top. Step 5: Color your base using Caribbean blue mica. I used about 1/4 teaspoon. Add a little and then add a little more. 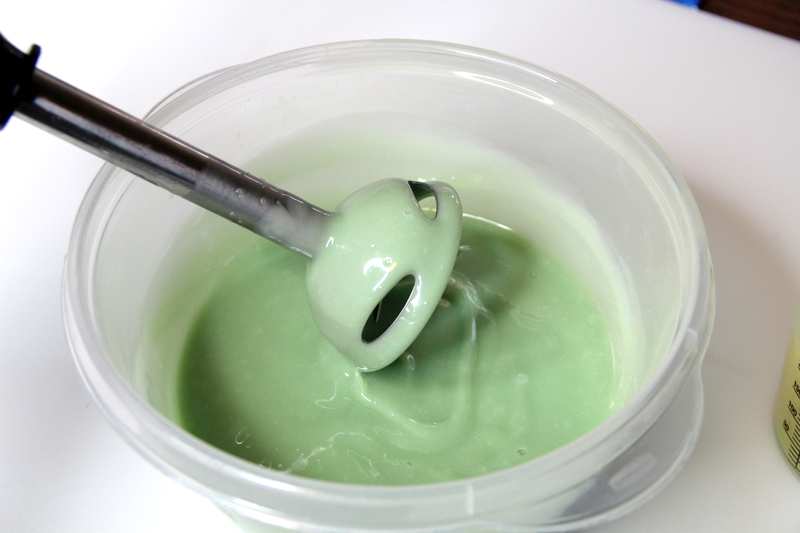 The blue mica + yellow soap base creates a nice green. If you add too much, you’ll get blue. 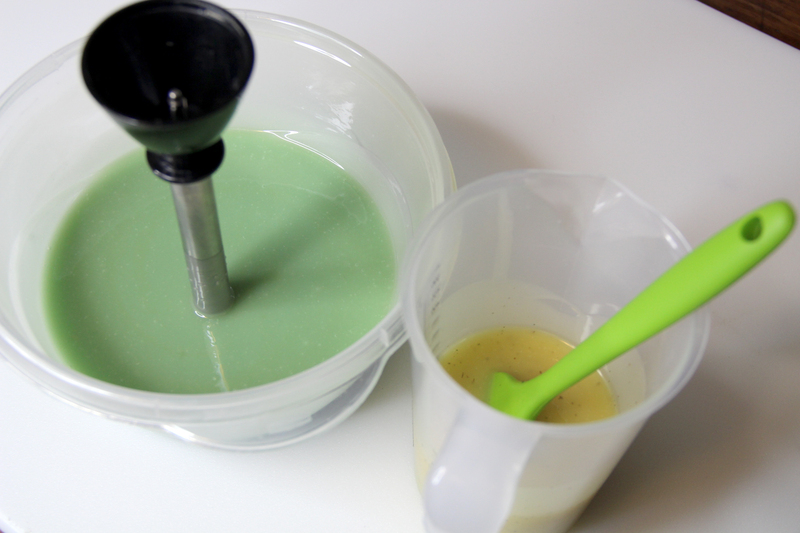 Step 6: Using your stick blender, bring the green base to a thicker trace. Step 7: Pour this into your mold. Step 8: Create your charcoal line. 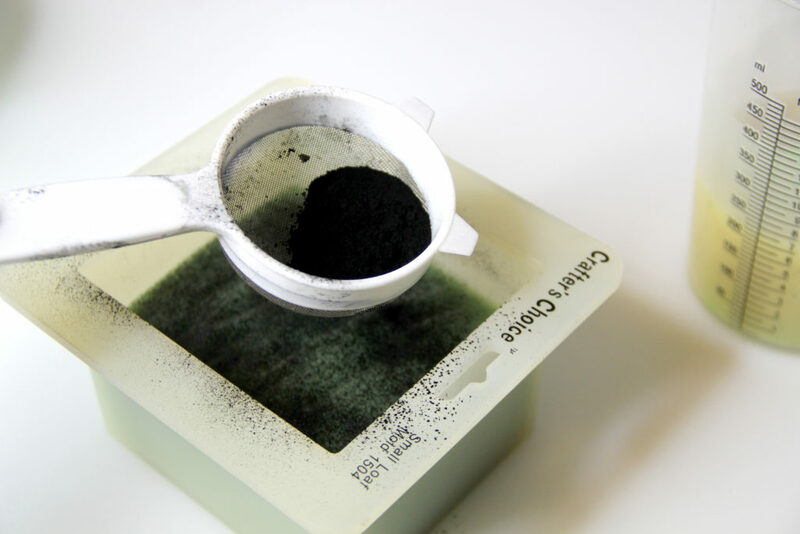 I use a small tea strainer to dust the charcoal on. Don’t over do it! 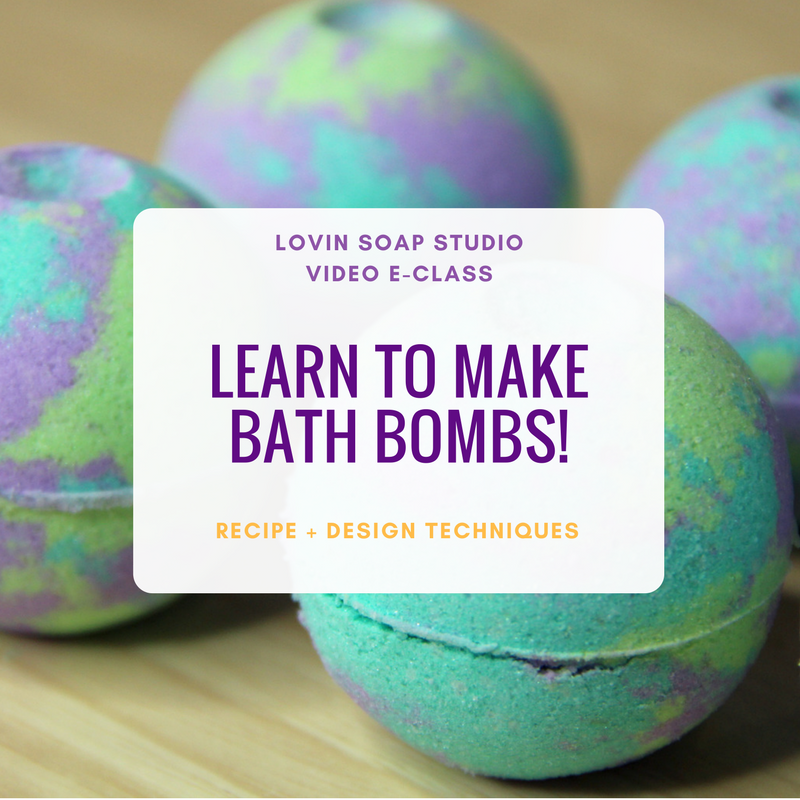 Don’t create a solid line or your soap layers will come apart. Step 9: Pour on your top layer. If you brought the bottom layer to thick trace then it should hold the top layer well. 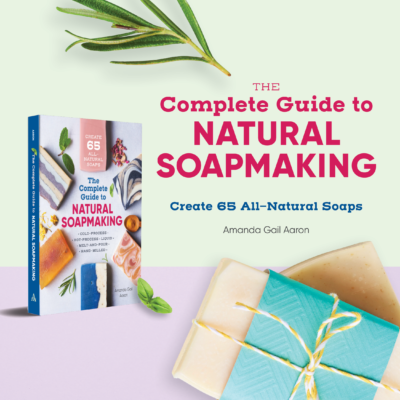 Pouring over a spatula will help to ensure that the soap doesn’t dive into the bottom layer. 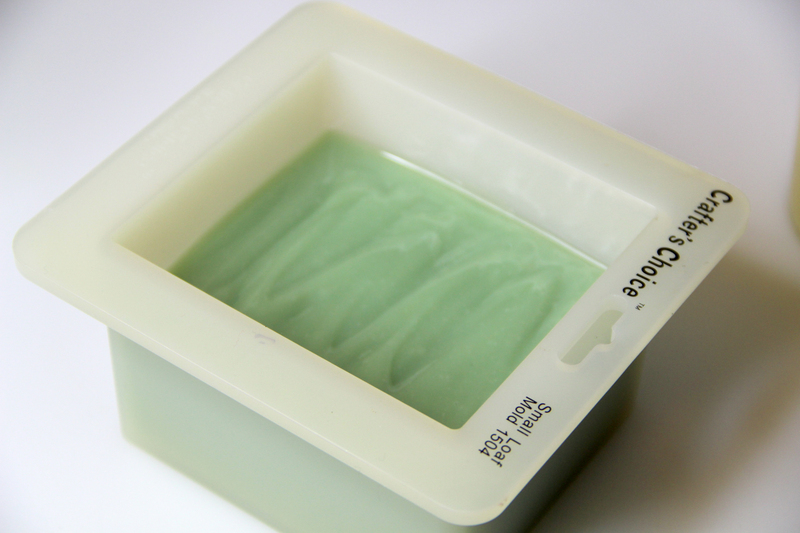 Let your soap sit for 24 hours, unmold and cut your soap! 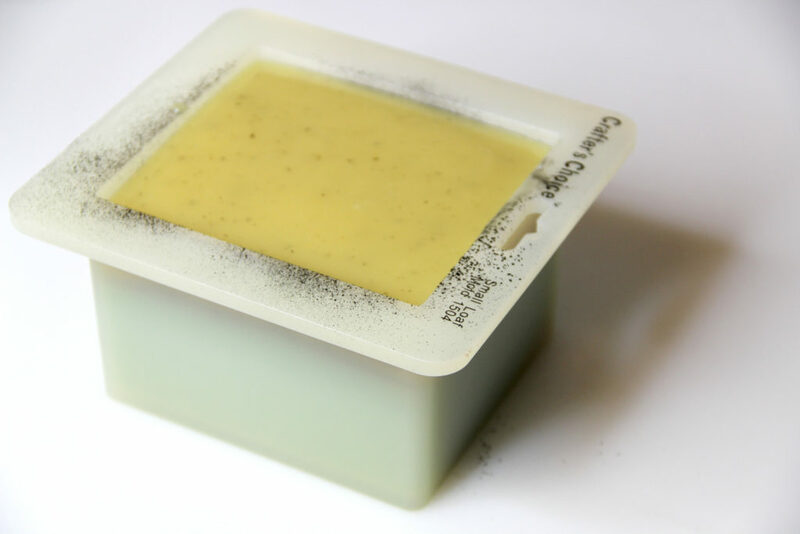 Cure your soap for 4 weeks! Did you add white mica for the top layer? 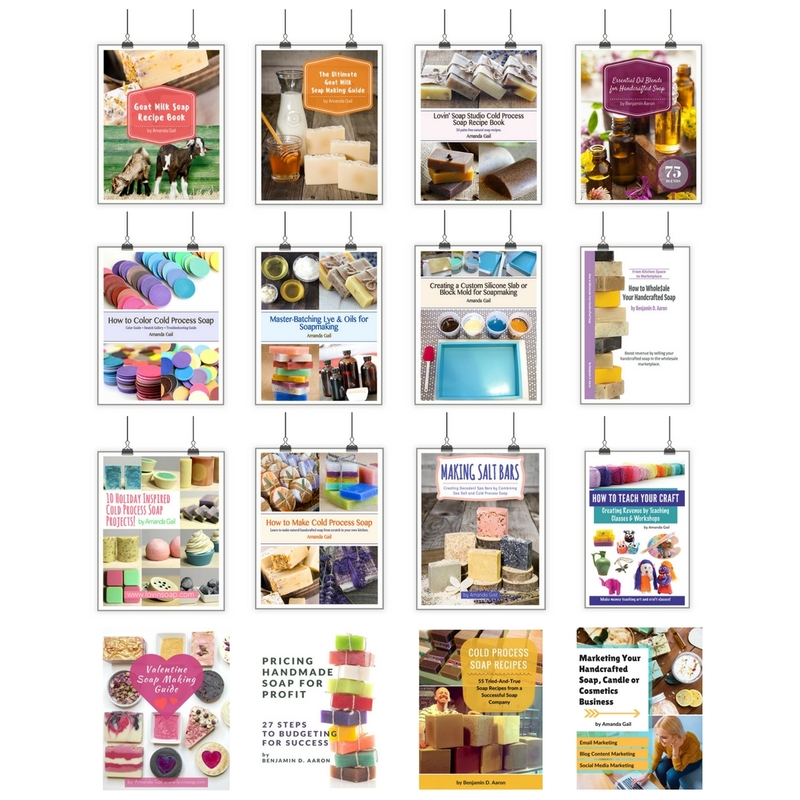 Hi Emily – I really want to try this recipe. 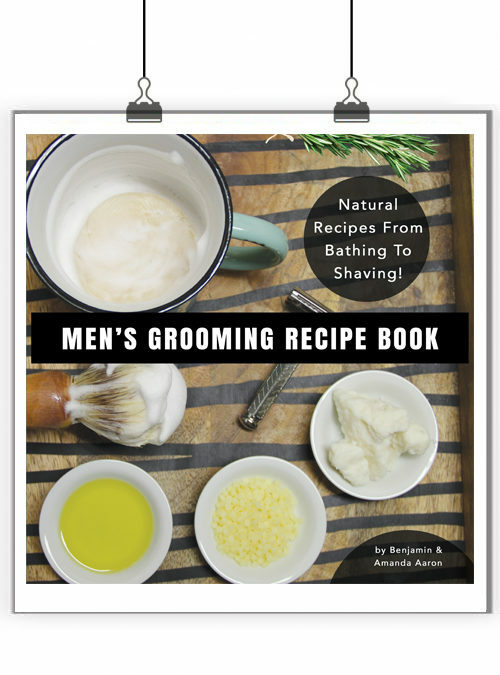 Have you experimented with it yet? I am concerned that the top will not come out white since the base is so yellow. Would the white mica help with this problem? I’m a pretty green soap-maker so I’m not sure what type of results I’ll get. It looks like, in the recipe, that she did not use any micas. Thanks for your input! We provide Black Soap Online Order facility In USA we provide a black soap in different discounts we provide a free home delivery facility also. Hi! 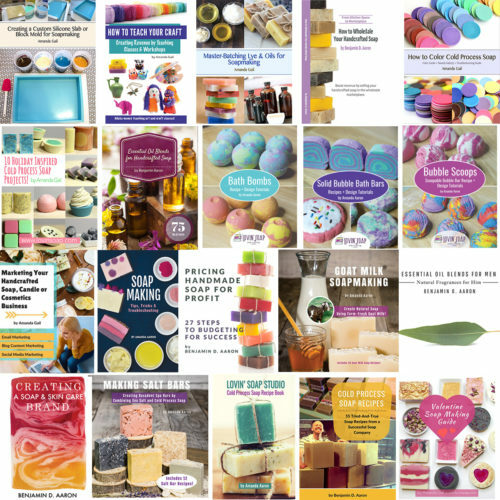 I have been making Cold processed soaps for more than two years now. 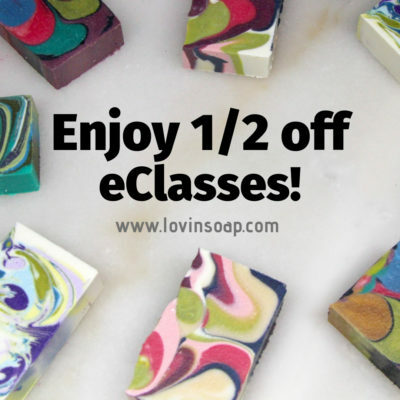 But with essential oils/ fragrances, my soap curdles up inspite of whatsoever care I take – like mint, lavender, Eucalyptus. Any remedies? Never mind, re. my question about the loaf size… I re-read and saw your note that you halved the recipe for this pic. 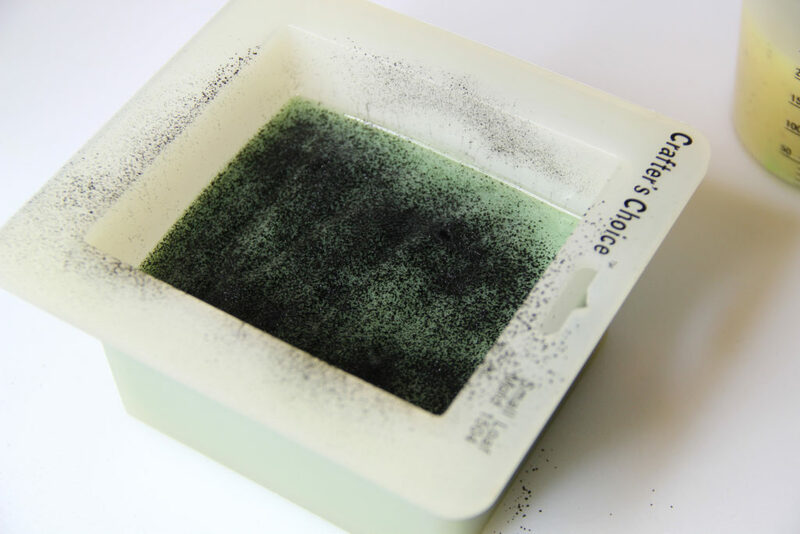 I am going to try adding a small amount of snow white mica (from http://www.madmicas.com) to the top part to make it whiter (I assume I can just add 1/8th tsp and stick blend it in…). We’ll see! This looks beautiful. What did you use for the white top?